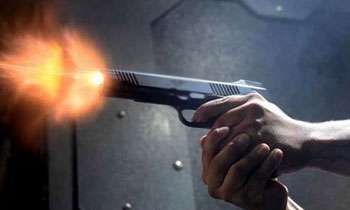 A man and a woman succumbed to death and another two had injured in a shooting incident in Jampettah Street in Colombo today, Police said. Police said that the incident had taken place around 8.15pm. The deceased were identified as Elizabeth Perera (50) and Selvaiya Selvaraj ((58). The injured were being treated at the National Hospital Colombo. The motive for the crime was not yet known while the police were still searching for clues as to the identities of the gunmen. The Weralabada Police has begun investigations into the shooting.